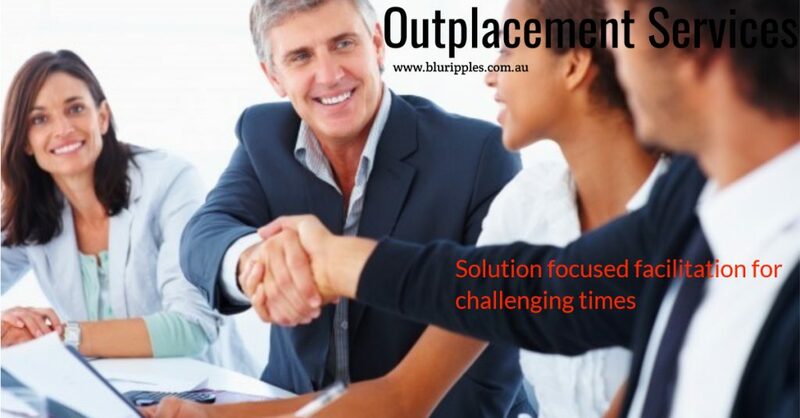 Blu Ripples Outplacement Services empowers exiting employees to achieve their employment objectives through the provision of meaningful real world career-employment, transition, development and emotional support services. Blu Ripples Outplacement Services recognises the emotional roller-coaster that often accompanies organisational change in the form of redundancies, downsizing, mergers and acquisitions. Thus, it is important for us to capture and address both the practical career and emotional aspects in our tailored outplacement programs thereby providing a well-rounded program for both the employer and exiting employees. Provide employees with the tools and self-confidence to manage, cope, accept and confidently move forward towards their new career goals. Blu Ripples provides cost effective outplacement solutions to small business by packaging one or more of our existing career services and or products based on your organisational requirements. Our founder, Katherine Foster, whom over the course of her career in Human Resources has facilitated in the redundancy of employees; and as a Counsellor has provided guidance and support to individuals post redundancy whom have struggled with acceptance and moving forward. Katherine is a Professional Member of the Career Development Association of Australia, a Member of the Australian Counselling Association (ACA) and Australian Association for Psychological Type (AusAPT).